Coinciding with the opening of Bruce Nauman’s (MFA ’66, UC Davis) retrospective at The Museum of Modern Art, New York, this exhibition features the first realization of a participatory environment Nauman conceived in 1970. 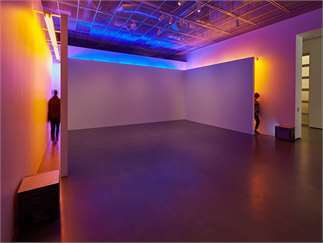 The work is a narrow passageway that wraps around an existing room, combining colored fluorescent light and closed-circuit video to manipulate the viewer’s perceptual experience. 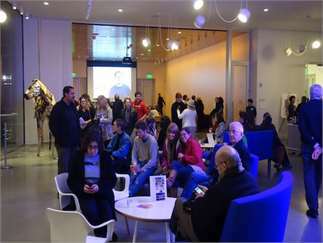 An adjacent gallery includes artworks that situate the corridor within the artist’s career.